I'll be honest with you; the past few weeks I've abandoned my blog in favour of becoming a Pokemon trainer master. I never really 'grew out' of Pokemon, despite being 25 years old. I still re-watch the old episodes and movies, collect the trading cards and play Pokemon Stadium on the Nintendo 64. I've even still got my Gameboy Colour with Pokemon Yellow to hand and a Pikachu pyjama top from the 90's that still fits. The launch of Pokemon Go was always going to be a landmark in my lifetime and a distraction from everything else, including my blog. The past few weeks I've found myself walking for miles and miles on the hunt for new additions to my Pokedex and I've found myself neglecting my online documentation, but I'm okay with that. 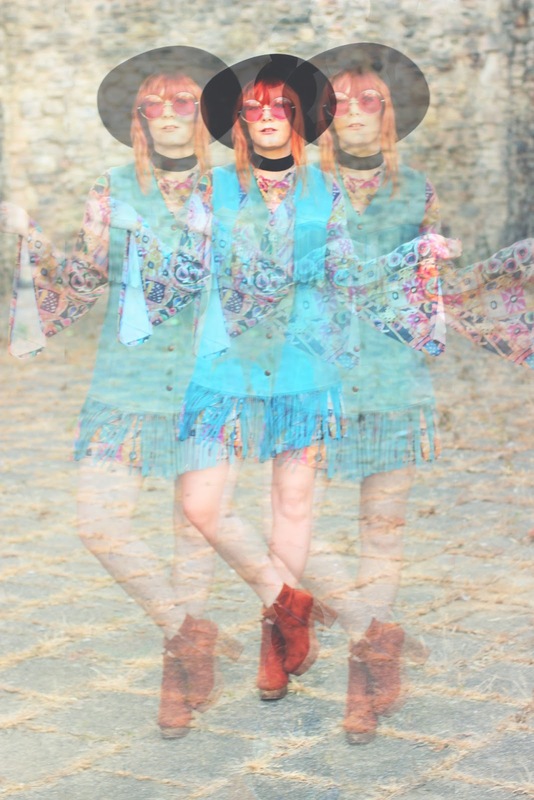 I actually shot this outfit just after a Pokemon Go hunt in the city centre; it actually happens to be a really great re-spawn and lure spot (for those who do not play Pokemon Go, I apologise for all of the Poke-lingo). So, I suppose this was my trainer uniform for the day! Since the sun has decided to show its sweet little face, I've been out exploring my own city the past week consistently. Finally, I can bust out all of the summer clothes that have been gathering dust in my wardrobe. 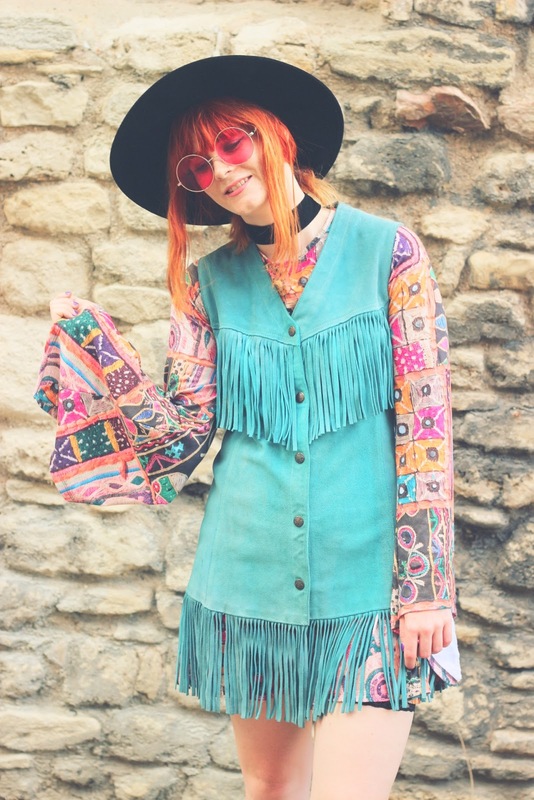 I've been itching to wear this incredible turquoise, fringed, suede waistcoat since it landed on my doorstep from We Are Cow. 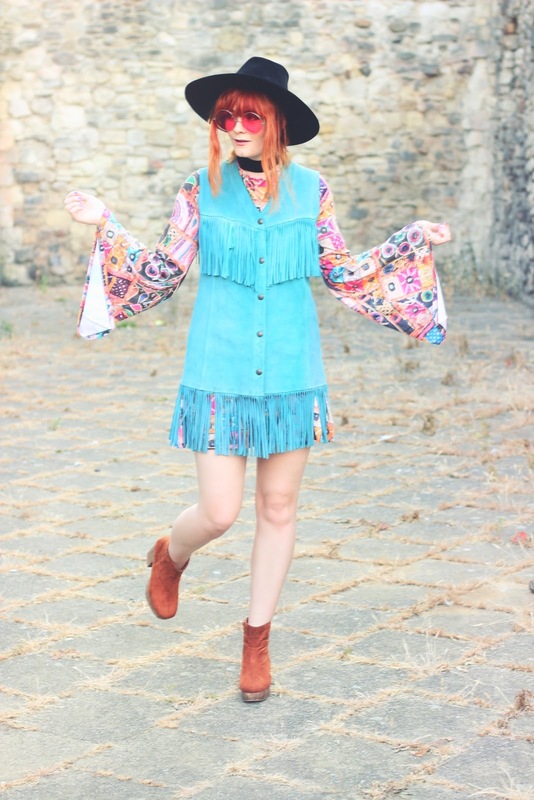 It's no secret I have a love for suede, fringed vintages pieces and as my collection continuously grows, this vibrant number is definitely one of the more unique numbers amongst them all. I love big bright colours and patterns, and you seem to just hit the nail on the head every time! 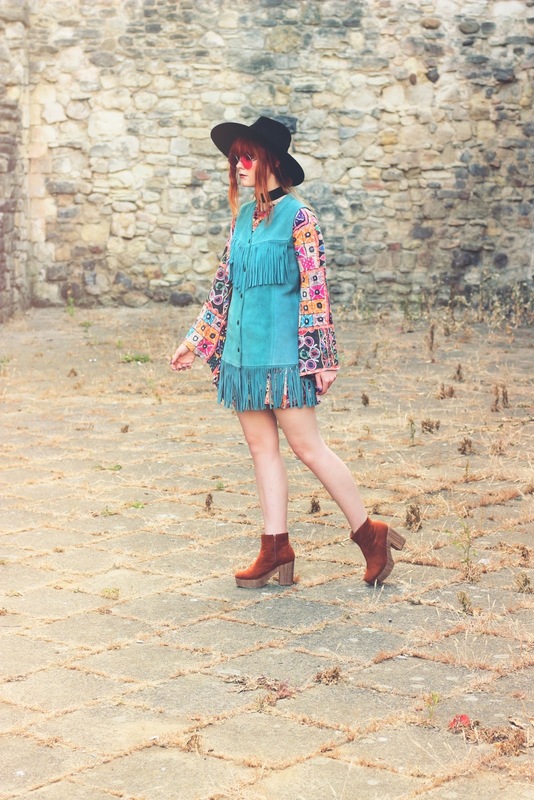 This suede fringed delight is gorgeous and right up my street too - you look incredible! This is so typically 70's I love it. 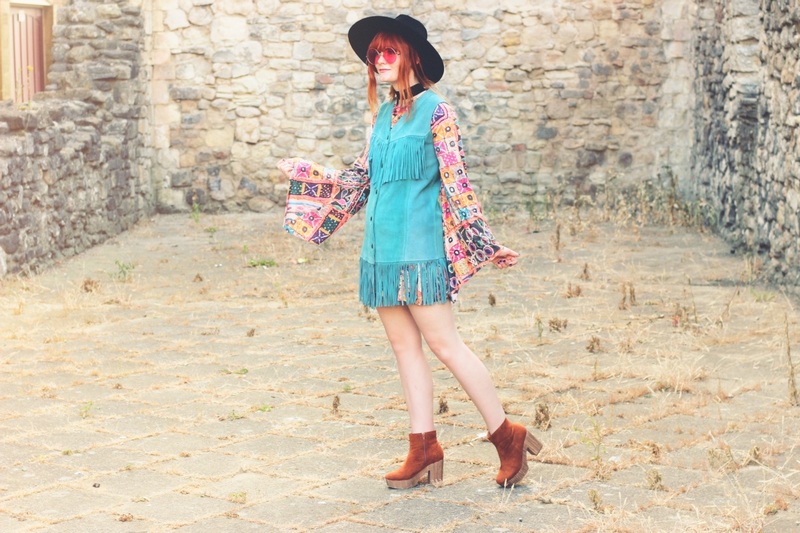 I am a big fan of fringing and suede too so combining the two makes the perfect combination. This looks suits you so much! I love all the different things you put together. :) I still haven't got into the new Pokemon game yet!! The colour of the waistcoat looks lovely and it really suits you.